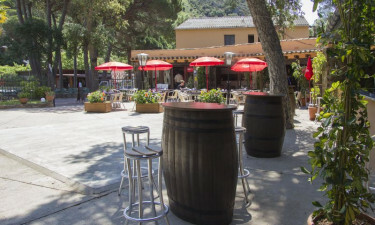 Located in the heart of Tossa de Mar's Mediterranean coastline, Camping Pola offers stunning views and activities over an open beach, with plenty of on-site facilities for families and couples. Sandwiched between historical villages and just 40km from the medieval city of Girona, there’s plenty to see and do in this region of Catalonia. Sitting on a beautiful Mediterranean beach, this luxury camping site includes well shaded mobile home pitches in a wonderful location of forests and coastal coves. This campsite is well maintained with a host of services and activities for all ages, including entertainment and sports facilities that are both invigorating and relaxing. You can book your next Mediterranean camping holiday here with LuxCamp. Nestled within a wonderful woodland, Pola’s swimming pool is perfect for sunbathing and swimming, with wading areas and bubbling pools. There are plenty of sun loungers in the solarium with umbrellas and changing rooms. 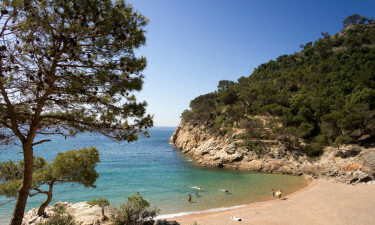 A near-private cove with a sandy beach is directly accessible from Camping Pola. 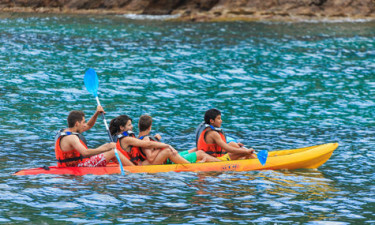 Here, guests can indulge in swimming, sunbathing or diving, with a host of water sports (from kayaking to water skiing) available in the neighbouring Giverola cove.